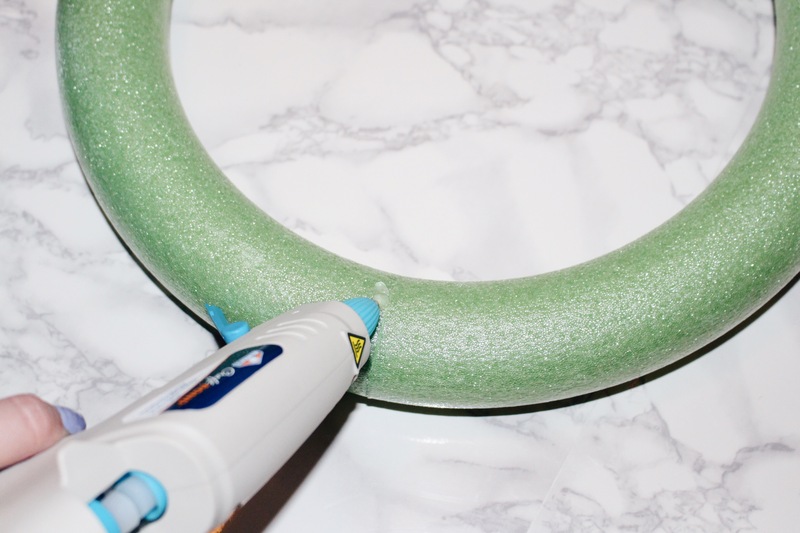 Kicking off my first post of September 2017, with a fun DIY! 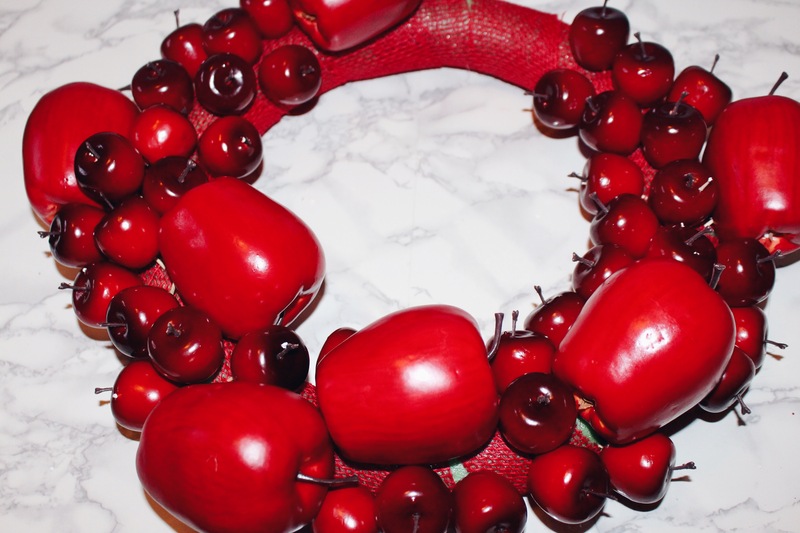 I am one of those people that associate apples with September, pumpkins with October, turkeys with November etc, so I just had to make this DIY correlate with that! 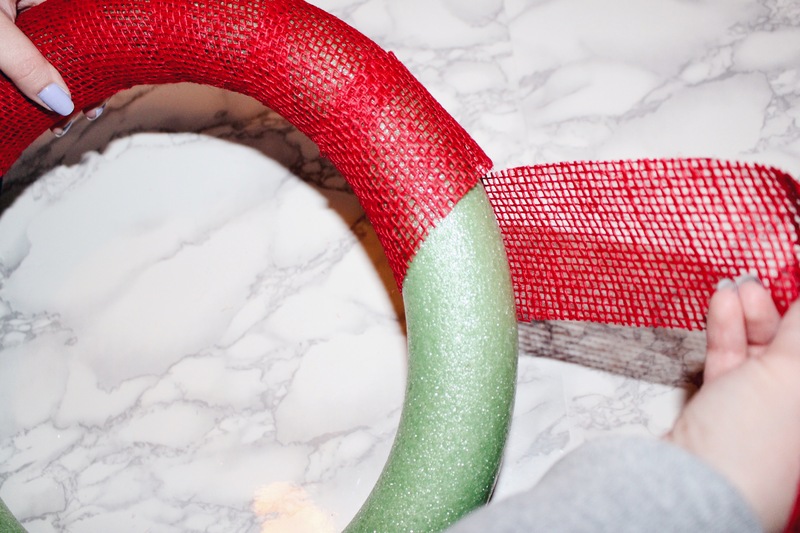 This DIY, is super easy, fun, festive and cute. I love a hanging wreath on a door. I think it spruces up the front door and is very welcoming. 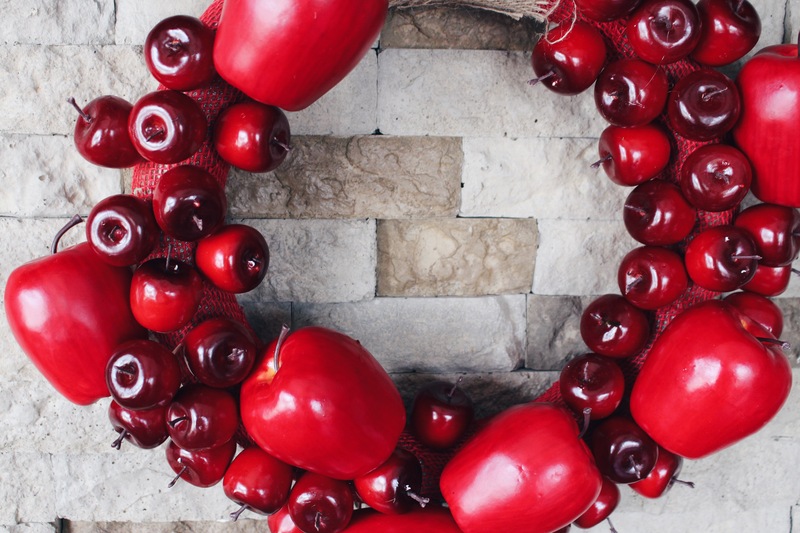 For this DIY, I’m going to be sharing how to create a Festive Apple Wreath! Now let’s get into it! Will need 2 people to do this DIY. 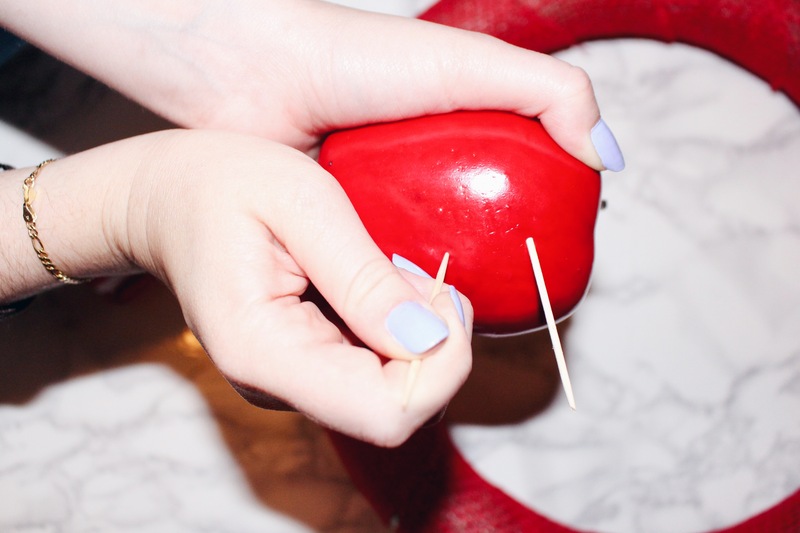 Do not do this DIY if you are under the age of 15, due to hot glue + toothpicks. Be safe and have fun! 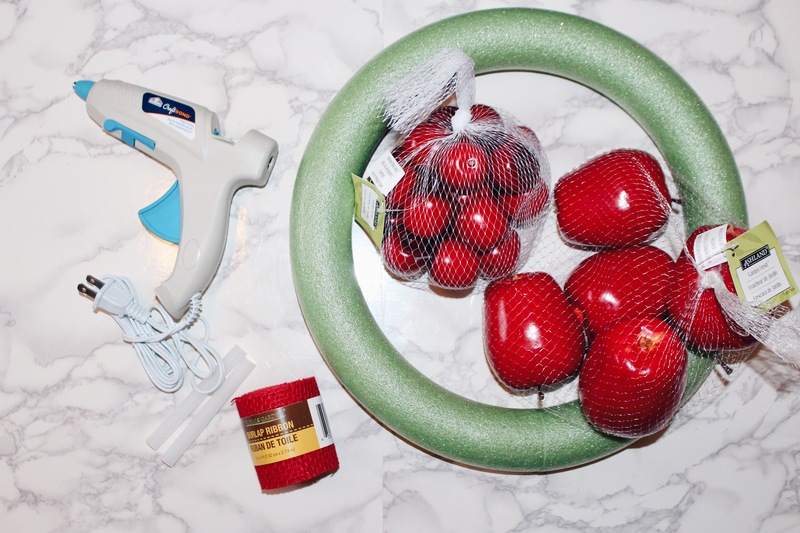 We began hot gluing the apples to the wreath and then realized the apples were too heavy, so we used toothpicks to attach. See below on how to do this. 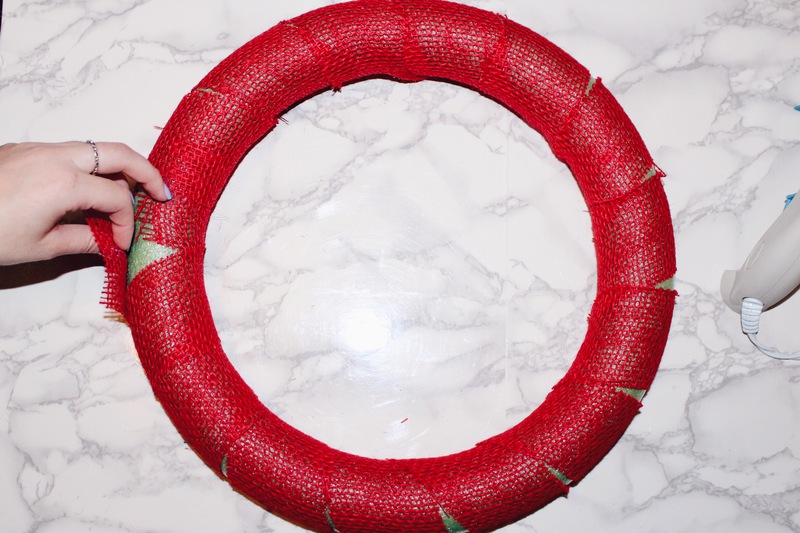 Place a tiny bit of hot glue onto the wreath (This will be where you place the burlap). Take your burlap and place it where the glue is, to secure it. 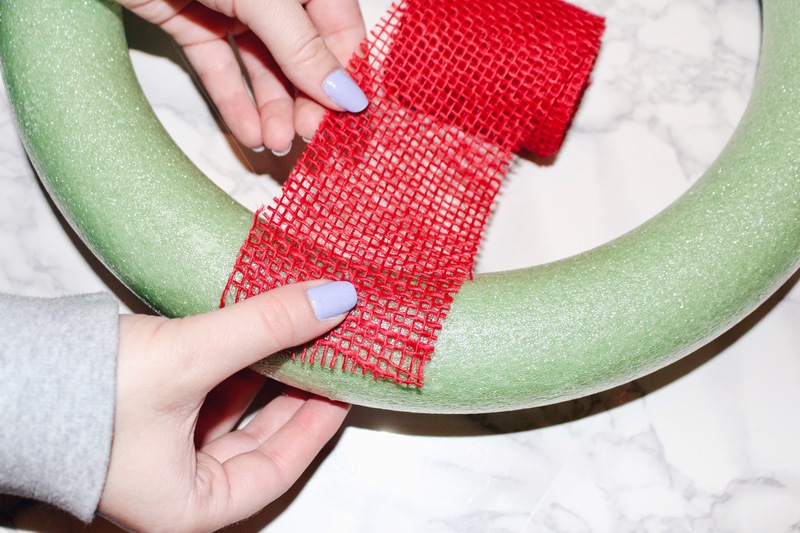 Wrap the burlap around the entire wreath (Depending on size of wreath you may need more burlap). Hot glue the end of the burlap to secure. 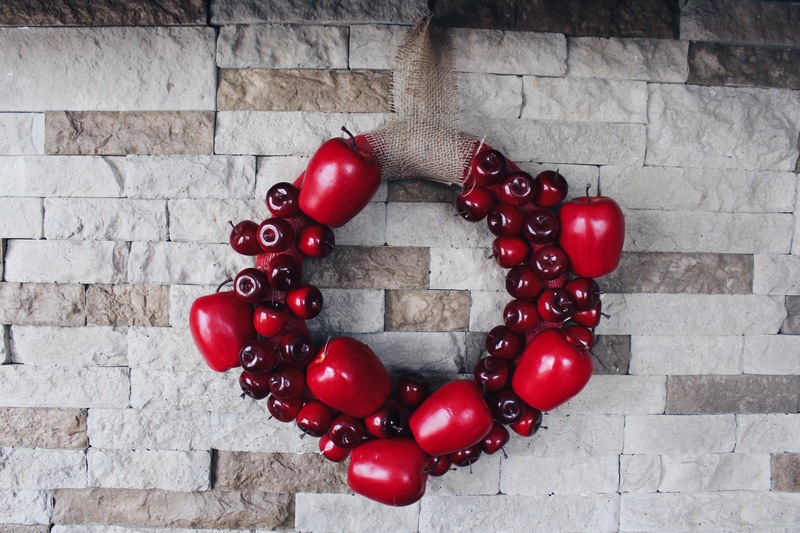 Do not worry about seeing any green part of the wreath they will be covered by the apples, just make sure to have it covered enough where it isn’t showing too bad. Be extremely careful when using the toothpicks. If you use too much force they will break. Make sure they do not poke through the other side of the wreath. 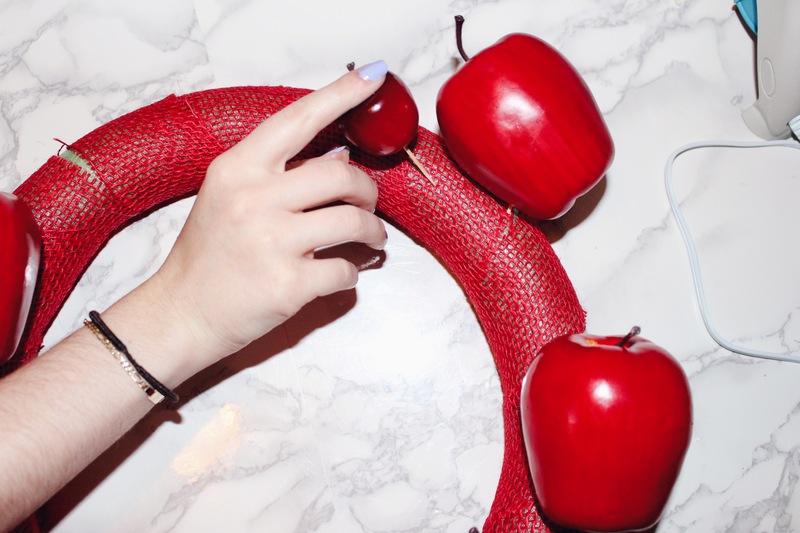 Take your toothpicks and push them gently into the side of the apple you want to have laying on the wreath. 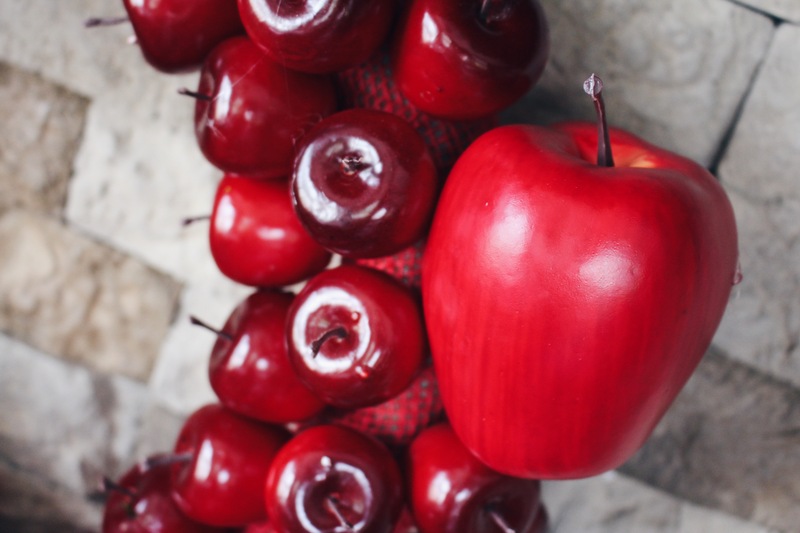 (I used 2-3 toothpicks on the big apples and 1 toothpick for the small apples. Do all of the big apples (I used 7) first to cover up most of the green peeking through. 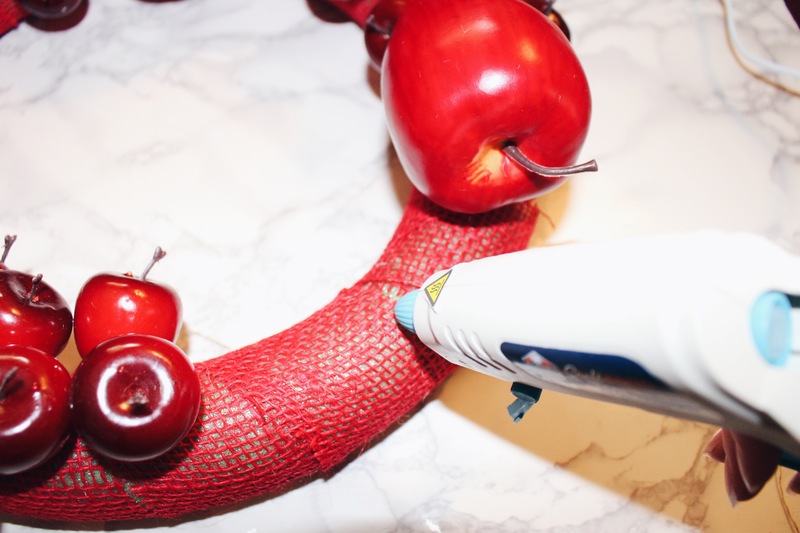 Do the same for the small apples, using only one toothpick. Place them where you like, leaving a good amount of space at the top for a burlap tie to hang. Put some hot glue on the area left open. This will be where the burlap goes. Place the burlap where the glue is to secure, then wrap the burlap around the area 3 times until open area is covered. 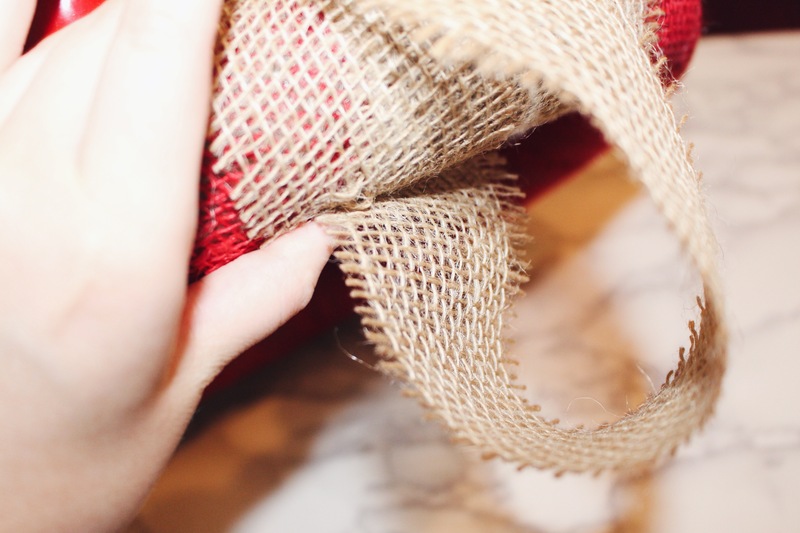 Fold over the burlap to measure out how big you want the hang tie to be. 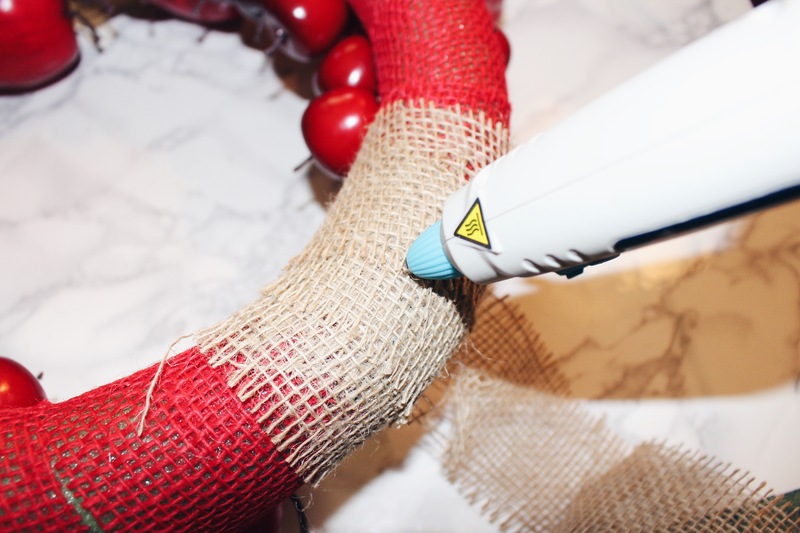 Hot glue the hang tie to secure. 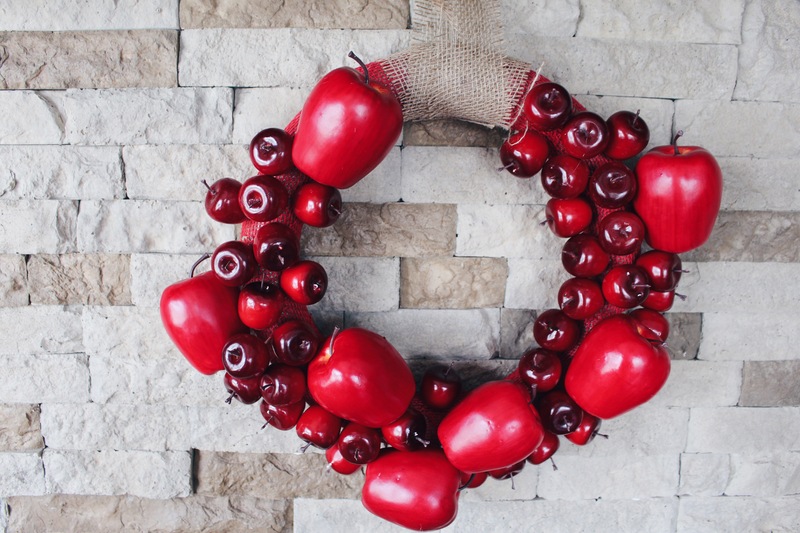 We decided to hang the wreath on our stone wall in the kitchen to decorate it. 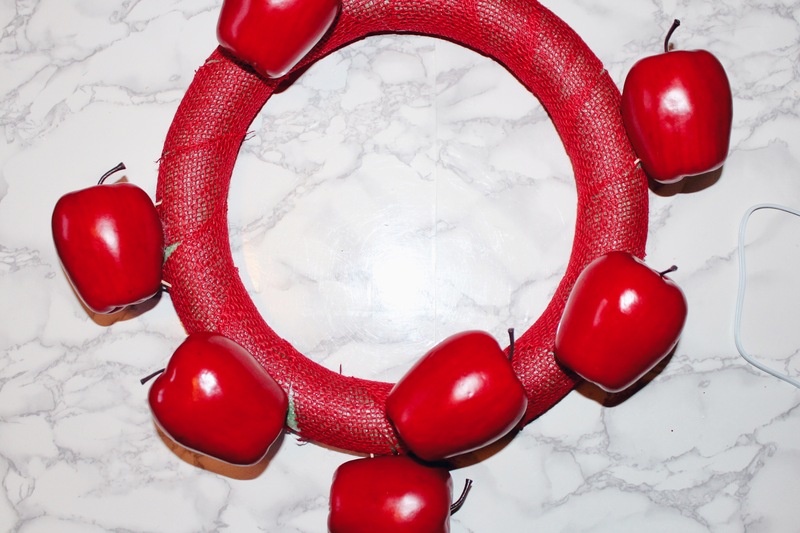 I think this DIY Festive Apple Wreath, came out so cute and was super easy to make! 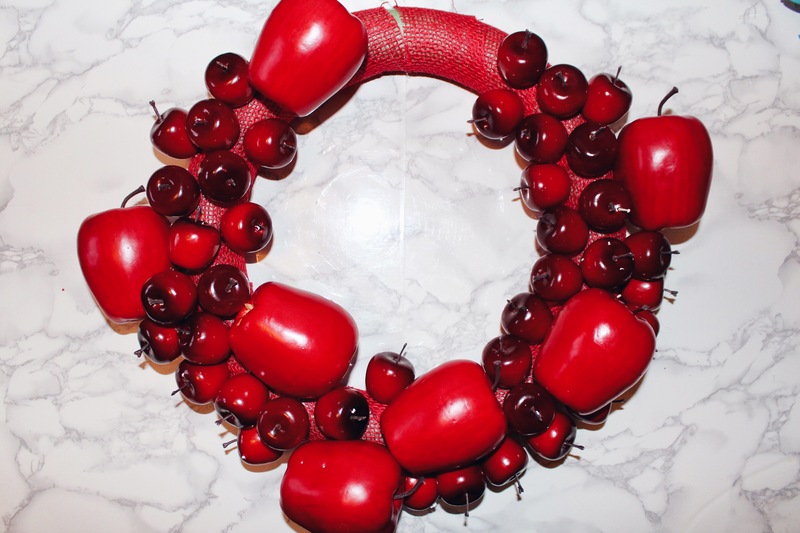 Now that you know how to make a wreath you can do this using almost anything besides apples! Subscribe to TMD via email to receive blog posts straight to your inbox! Never miss out! 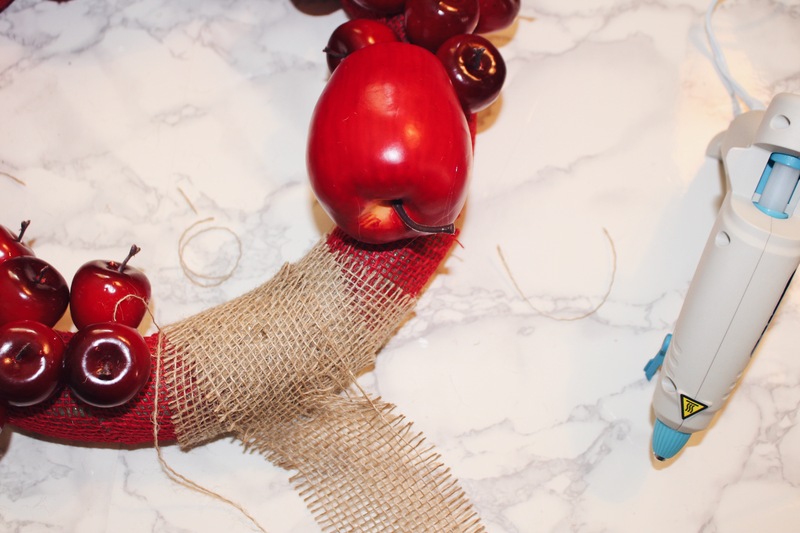 Stay tuned for more festive DIY’s coming this month!